Industrial Waste Removal: Expertise Can Help The Environment & Save Money! This is a guest post by Daniel Mittz on industrial waste removal in the brewing and beer industries. Daniel is a hard working waste engineer who is dedicated to finding the problems in your waste management process. Companies trust him to find ways to increase their bottom line through optimizing their production and waste processes. He has worked at various waste companies. If you want to increase your bottom line and have expenses disappear. Look towards waste management… Especially if you are in the brewing industry. We are trying to minimize the waste generated, and manage the remaining waste. With this remaining waste, we can find ways to recycle or convert it to energy or other products. 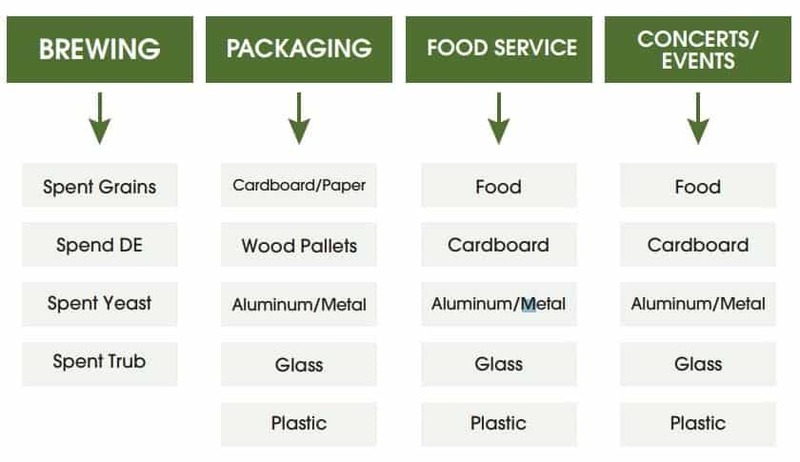 You need to understand the waste management process in your industry. Here is an image of what waste management generally consists of in the brewing industry. 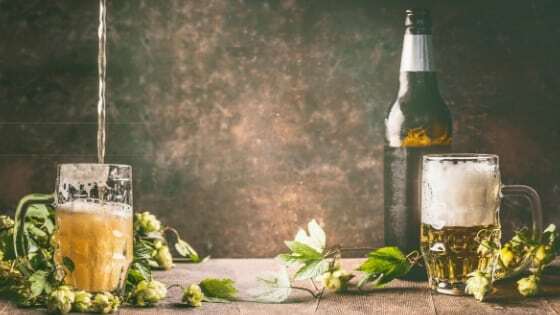 These are the industries primarily processes when it comes to the brewing to make actual beer: mashing, lautering, boiling, fermenting, conditioning, and filtering. Now the brewing part can be improved in a lot of ways, but the one I will discuss is how to deal with your “spent grains” which are produced by the malting and lautering processes. The “waste” here can actually be valuable, but spent grain suppliers are everywhere. I don’t suggest trying to be a sales guy here, but that is an option. Even better, give it away. You can build a community of local farmers you give to. Most people call it DE, a little less of a mouthful. Diatomaceous earth is a sedimentary rock that is essential to the filtration process of making beer, and it can be highly optimized. You need to optimize DE when preparing a filter to mitigate waste. If done wrong, it can affect the beverage’s quality, so I suggest reading up or getting an expert on industrial waste removal. – Get your glass bottles from the locals. You usually need to get your glass bottles from some producer. My suggestion, source locally. This will drastically reduce the amount of energy needed to transport glass to and from the brewery, and you can often grab a nice deal. Next, try to get a glass supplier that supports recycling glass if you are interested in supporting the many environmental causes. Are you environmentally cautious? Do you not have time to study and implements these tips? It can be hard to write these types of posts about industrial waste removal because it often just depends on the situation, and after you have dealt with a lot of cases, you get this knack for analyzing what the best path is for how Company XYZ is handling their waste. I would suggest going out and hiring experts in this kind of thing. But companies and innovative teams like Waster do.